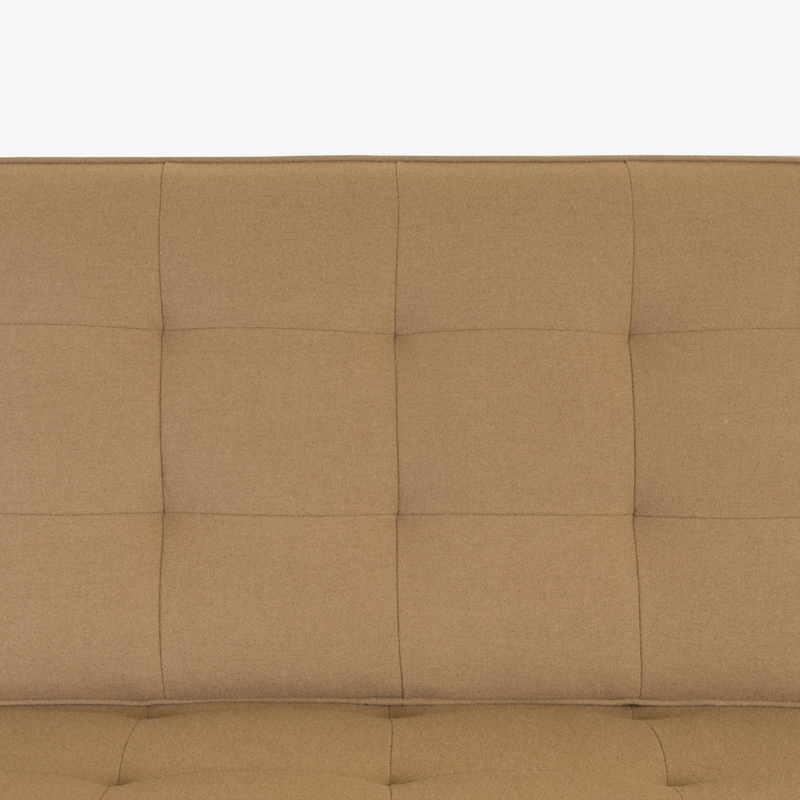 The Classic Florence Knoll Sofa; a quintessential piece of midcentury design. This contemporary edition example (2006) is upholstered in a soft Knoll Textiles wool flannel in Camel. Florence Knoll's design has become the ultimate statement of style and comfort with its clean lines and exemplary proportions. The chromed steel frame is equipped with six solid steel levelers at the base of each leg, adjustable for optimal installation. One solid steel leg is incised with "Knoll Studio" accompanied by Florence Knoll's signature. Montage has several vintage Florence Knoll sofas in stock which we upholster to order in our Workroom. Choose a fabric or leather from the Montage Fabric Collection or choose to provide your own material. Please contact Montage to request a swatch of fabric to review.